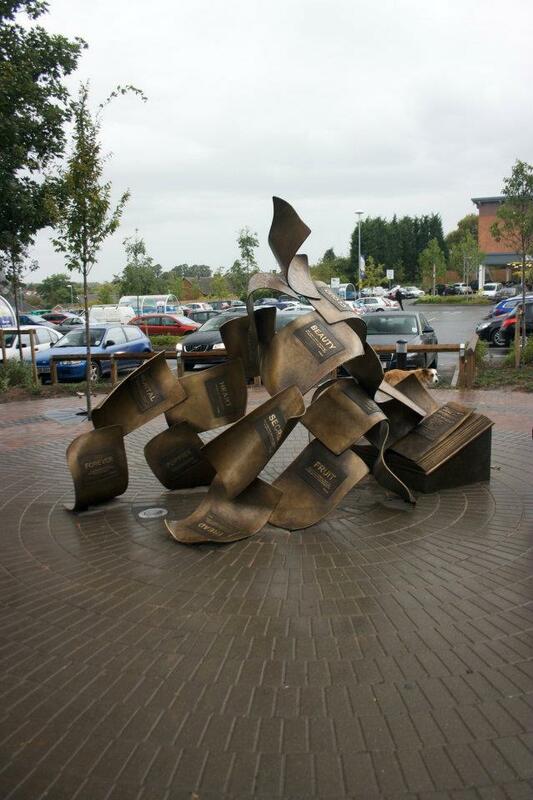 As a tribute to the work of Dr Samuel Johnson, ‘The Formation of Poetry’ depicts the pages of a book, Dr Johnson’s Dictionary, being blown forth, each with a poignant word together with its definition, each with a meaning and relevance to the artwork and depicting creativity through abstraction and through text. The clever engineering and unique design of the bronze sculpture allows the artwork to appear fragile and gentle as if the pages bend and fold in a breeze and yet it stands firm and solid to last the test of time, just as words might in a piece of poetry. Sculpted by Peter Walker this piece shows that sculpture can be created in many ways to depict a person’s life and work, not just through realistic representation of a person as portraiture, but also through the means of abstract form and shape that capture the feel and thoughts of a historic figure.